We are developing our Psychological Therapies Services in Oxfordshire and Buckinghamshire and looking for Clinical/ Counselling Psychologists and BABCP accredited CBT therapists for a range of posts between bands 7 and 8b. As a flexible employer we would welcome discussions about opportunities we can offer in posts both full and part time, across specialisms (Adult, Older Adult, Eating Disorders, CAMHS, Learning Disabilities and Forensics) with the possibility of joint posts and preceptorships between band 7 and 8a for people looking to specialise in a particular area. We offer CPD and training to support career progression, have excellent links with the Oxford Centre for Psychological Health that includes Oxford Centre for Cognitive Therapy (OCTC) and Oxford Institute for Clinical Psychology Training, which is hosted by the Trust. We actively encourage innovation and research with opportunities for collaborations with University of Oxford Department of Psychiatry and Department of Experimental Psychology. We also collaborate with Oxford Brookes University, Buckinghamshire New University and University of Bath. We provide excellent accredited supervision by senior therapists to help you consolidate your therapy skills in a focused and supported way, monthly opportunities to meet psychological therapy colleagues from across the county for reflective practice groups and clinical updates. 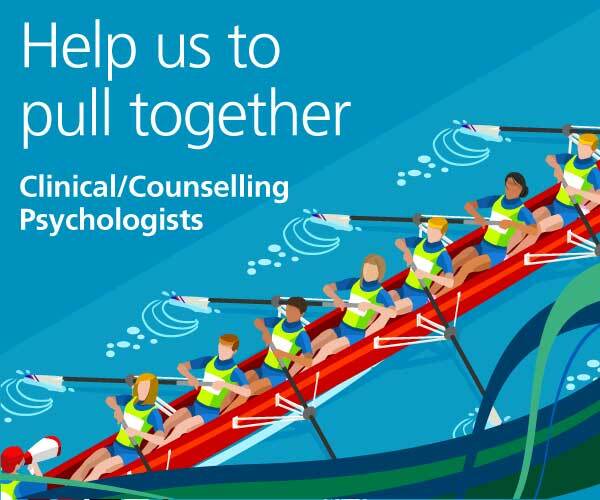 For further information and informal visits please contact Joanne Ryder Consultant Counselling Psychologist, Clinical and Professional Lead Psychological Therapies Pathway, Head of IAPT Oxfordshire (phone 07810 454 449). We look forward to welcoming you to Oxford Health NHS Foundation Trust. If you are a clinical or counselling psychologist thinking of returning to practice please do contact us to discuss how we can support you. Closing date for all posts is the 30th April 2019.